1984 was a magical year. A lot of great science fiction and fantasy films came out then, such as The Last Starfighter, The Terminator, The Neverending Story, Splash, and two of the biggest blockbusters of the year – Ghostbusters and Gremlins. While those last two films were wildly popular upon their initial release, they aren’t held in equal regard today. One is still just as popular while the other has fallen by the wayside of cinematic history. They’re both comedies that stray into horror territory by telling stories about frightening creatures that terrorize a town. My purpose in this Movie Matchup isn’t to compare the two films’ stories, but to figure out what made one a classic and the other a curiosity. So let’s cross the streams and explore the biggest difference between Ghostbusters and Gremlins. We’ll start by talking about the creative people responsible for these films. Director Ivan Reitman was coming off a string of huge hits with National Lampoon’s Animal House, Meatballs, and Stripes, the latter two of which starred a very young Bill Murray. 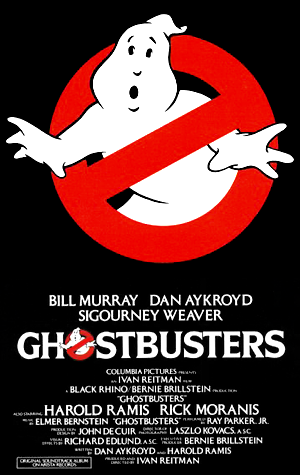 Ghostbusters served as a further showcase of Murray’s and Reitman’s talents, as well as that of actors Dan Aykroyd and Harold Ramis who also penned the script. It was not the only highlight in any of their careers, but it definitely served as a boost that helped just about everyone involved further their film careers. Director Joe Dante was also on a roll after making 1979’s Piranha and 1981’s The Howling. 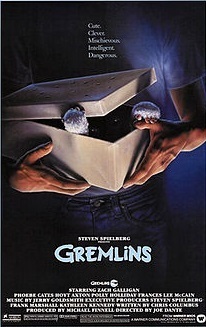 He teamed up with executive producer Steven Spielberg and a young screenwriter named Chris Columbus to make Gremlins. It featured a cast of mostly unknowns, except for maybe Judge Reinhold and Phoebe Cates who had appeared together in Fast Times at Ridgemont High two years earlier. Gremlins became a surprise hit. However, Dante’s next few films (Explorers, Innerspace, and The ‘Burbs) proved to be box-office duds. Neither he nor most of his actors were able to recapture the success of Gremlins. It proved to be the pinnacle of their careers. 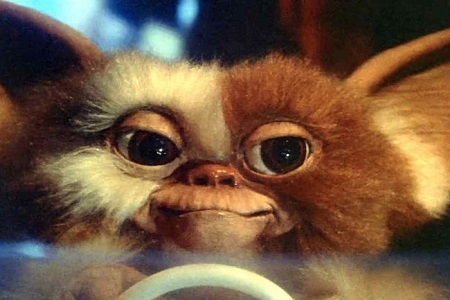 In 1989 Ghostbusters got a sequel and the following year Gremlins finally got one. Unfortunately, they received a fraction of the critical praise and box office receipts than did their predecessors. Ghostbusters II made about half of what the original made domestically while Gremlins 2: The New Batch earned less than a third of the original’s gross. The sequels are widely considered to be inferior to their predecessors, even by fans. But while Ghostbusters II isn’t a perfect film, it certainly didn’t diminish from the first film’s brilliance. In fact, fans have eagerly anticipated a third film in the series for years. 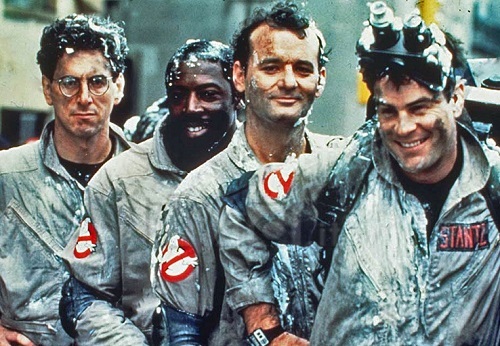 Sadly, from the looks of things the 2016 Ghostbusters reboot is shaping up to be a colossal disappointment. On the Gremlins side, the sequel served to highlight the shortcomings of the first film. Gremlins 2 is basically the first Gremlins on steroids. It’s a complete cartoon and it descends into self-parody and open mockery of itself and its critics. So what is it that made Ghostbusters fans want another sequel even after a lackluster first attempt at one while no one cares if they ever remake or continue in the Gremlins series? I’ll tell you. It’s all about the characters. And that’s not even mentioning all of the unique and interesting side characters, such as Janine the receptionist, Walter Peck of the EPA, Slimer the ghost, and Gozer. These characters make Ghostbusters what it is. Without their clever banter and interactions with each other, the film just wouldn’t be the same, and it definitely wouldn’t have been able to stand the test of time. I think that’s why Ghostbusters II’s shortcomings can be forgiven. Because we love these characters so much we just want to be with them again, even if they’re not in ideal circumstances. Gremlins isn’t popular because of its characters; it was popular because of its gimmick. It starts out as a seemingly sweet and innocent Christmas movie. The audience slowly discovers the secret of Mogwais as the characters do. And by the time the gremlins show up, we’re already invested so much in the momentum of the film that we want to see how the heroes get out of the mess they’ve created. There’s no way that a sequel could recapture that magic of discovery, any more than a Predator sequel could ever hope to do so. The joy was in the journey. We can’t really bring ourselves to care much for Billy, Kate, or Gizmo. Kate is the only one that the first film attempted to give some depth of character by having her share that gut-wrenching story of her dad dying on Christmas. But that painful experience is never brought up again and it doesn’t really add to the film’s overall story. The sequel even makes fun of her by having her start to tell another sad story, which gets promptly interrupted and ignored. To sum up, Ghostbusters has memorable characters while Gremlins has memorable scenes. The characters in Ghostbusters lead to fantastic scenes. Even quiet moments like Peter’s introduction and his talks with Dana are all as notable as the huge moments like the library ghost and the Stay Puft Marshmallow Man confrontation because in every instance we like the characters and we love seeing them in action. Gremlins has that hilarious scene when Billy’s mom murders gremlins in her kitchen with a microwave and other handy tools. And it has Gizmo driving a little toy car and the evil gremlin falling into the swimming pool. But it’s all so disconnected from interesting characters that it fails to leave a lasting impression beyond a little amusement. 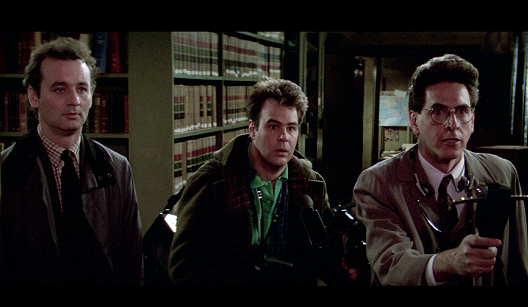 Ghostbusters is the total package: clever characters with witty dialogue in hilarious situations. Gremlins is a jack-in-the-box: shocking scenes and transformations but little substance or character development. That’s my take on why Ghostbusters will live forever while Gremlins will most likely remain a forgotten oddity. Oh, and as a side note to my faithful readers, I apologize for not publishing an article last week. My kids, wife, and I got really sick and it was just a really rough time for several days. But we’re all better now and I’ll do my best moving forward to never let things like that keep me from publishing my usual one article a week. Thank you for your awesomeness! This entry was posted in Movie Matchups and tagged 1980s, comedy, films, ghostbusters, gremlins, horror, ivan reitman, joe dante, movie review, movies, science fiction, sequels. Bookmark the permalink. Both a a fantasic and even ground-breaking score by a legendary composer. Both scores were under-represented on their soundtrack albums in favor of songs. But considering how much that happend in those years, that’s hardly coincidence. I know what you mean. I love Jerry Goldsmith’s work. Gremlins and Explorers have two of the best main themes I’ve ever heard. And I love listening to the Ghostbusters soundtrack in isolation. Dana’s theme has a nice haunting quality to it, and the comedic piano theme is always good for a laugh. Good old Elmer Bernstein. I had forgotten that he was responsible for the scores to The Magnificent Seven and The Ten Commandments. Man, we had a lot of living legends willing to work on silly comedies just 30 years ago. Hey everyone gets sick. It’s understandable. You’re very spot on with your comparisons. All the human characters would have to play second banana to the Gremlins the way human characters do in Muppet movies. Ghostbusters II like many inferior sequels suffered from what I think was self awareness-itis. You could tell the actors were hamming up their characters idiosyncrasies. I guess it’s always in the back of the heads of the filmmakers and actors when you’re making a sequel to a blockbuster comedy that you have to turn it up a notch. I noticed that in BTTF part II and Airplane II as well. Seems to be only with sequels to hit comedies. Ghostbusters is one of those rare 80s movies where people can easily name off all the main characters full names. You couldn’t do that with say Police Academy or The Breakfast Club. Yeah, Ghostbusters had charm along with big laughs while Gremlins had some laughs but no charm and for the most part shock and awe. I was always surprised they never made a Gremlins cartoon when they gave Beetlejuice one and he was just as gross out a character as any of the Gremlins on screen. Thank you. Wow, a Gremlins cartoon would have been perfect. That’s a brilliant idea. That’s really the medium where they belong because once the filmmakers let the genie out of the bottle and threw all of the outlandish creature effects and ideas they could put onto the screen into the first film, there was really nowhere for them to go. A cartoon would’ve been a great showcase for new Gremlin adventures, even taking the adventures to different locations or doing something self-aware like Animaniacs.